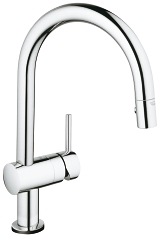 Put the sweeping, sensual power of water at the centre of your kitchen with the Flair Touch. 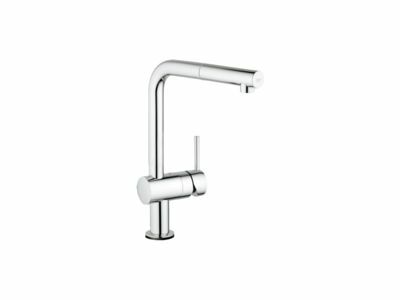 Flair’s modern and minimal design will never go out of fashion and sits perfectly in any contemporary kitchen. With the addition of GROHE’s easy touch technology, you can also control the mixed water flow with just one touch. 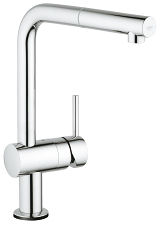 From a model with a pull-out mousseur to one with a pull-out spray, GROHE Flair Touch puts the choice in your hands.